Learn how to win your ex back by simply texting on your phone. 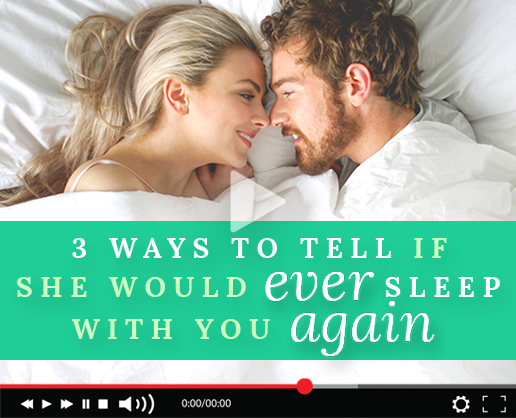 I know, I know – there’s a lot more to winning your ex back than sending some text messages. BUT if you have no idea what you’re doing, then texting your ex can be a one-way ticket to staying single and looking desperate. So read my advice VERY carefully if you want to learn exactly how to text your ex back the RIGHT way. Personally, I believe that texting is a much safer way to communicate with your ex. It doesn’t require you to have a full-blown, face-to-face conversation and it’s extremely non-invasive. Your ex is free to reply to you whenever he or she wants, and you’re able to reply to your ex’s text whenever you want too. This sort of dynamic allows you time to think about what to say before you actually say it. With most of the clients that I coach, I tell them that texting is usually the best route when communicating with their exes. But in some cases, texting might NOT be the right move. For instance, if you and your ex never texted one another during your relationship, it might be weird to all of a sudden start texting them. So keep this in mind before employing the tips that I reveal in this video. Now, before I get started with what to text your ex, I’m going to first teach you what NOT to do. That way, you know right off the bat what you absolutely SHOULD NOT do if you want to get your ex back through texting. …and these mistakes can sometimes decimate any chance of rekindling a relationship with an ex. When you’re reeling from a tough breakup, chances are you’re not thinking clearly. You’re heartbroken, desperate, depressed and you’re just not yourself. And most importantly, you’re not thinking logically! And when logic goes out the window, people tend to send 3 kinds of BAD text messages. These are text messages that you might be guilty of, so it’s important to pay attention! This is one of the most common kinds of texts guys send to their ex after a breakup. While venting can be therapeutic, saying mean things to your ex will ruin your chances of ever rebuilding a relationship with her. If you find yourself angry with your ex then give yourself a moment to cool down before you pick up your phone. I mean…what is your goal right now? To get in that “one last shot” at your ex? Or to win them back and make them love you again? Think about it this way: people tend to gravitate towards things that make them feel good. So if your ex, associates negative feelings with YOU, the less likely she’ll feel attracted to you again, let alone talk to you. So take a chill pill, relax and live to fight another day. When emotions are running and high and you’re feeling desperate, all you want to do is just pick up your phone and start texting your ex NON STOP! The problem is, nobody likes spam and nobody wants to talk to someone who’s frantic and desperate. Put yourself in the shoes of someone who’s receiving 20 or 30 messages a day from someone you don’t even want to talk to! Maybe you’ve even been there yourself. Annoying, right? …and needless to say, this man didn’t get his ex back. These are texts that come across as extremely needy. This is the kind of stuff that will kill any sort of attraction that your ex has for you. At the time, you might think that these text messages sound honest and sweet, but in reality, showing neediness to such a high degree will drive your ex far, far away. By sending any of these three text messages, you turn yourself into what I call “The Texting Terrorist”. …and in some cases, you’ll even scare your ex off completely. The quick answer is yes, there is a chance you can recover from these mistakes – and there is a chance you can get back on the road to winning your ex back. But you’ll have to follow my instructions VERY carefully. If you’ve committed some of these errors, then it’s important to get your ex back to what I call “Emotional Neutral”. Right now, your ex is feeling annoyed or angered by your text messages – and rightfully so. So the next logical step is to remove all the negative feelings your ex has of you by sending a quick apology text and employing the no-contact strategy. If this is your first time reading about it, the no-contact involves not contacting your ex for a certain period of time. …but through my experience and research, the no-contact strategy is absolutely necessary for most situations. There are certain exceptions to this rule, but for the vast majority of cases, no-contact is a MUST. So if you’ve been sending any of these hurtful or desperate text messages, the quickest way to get your ex to rebound is to first send a quick apology text. After you send this, you MUST engage in no-contact for a period of at least 30 days. It doesn’t matter if your ex texts you back or asks you how you’re doing, etc. When I say no contact, I really do mean NO CONTACT. So literally ZERO text messages during this time. See, right now your ex thinks that YOU’RE chasing him or her. They think that they have all the power – and if they wanted to, they could have you back whenever they wanted. So what you need to do is to take that power away from them so that they begin to start chasing YOU instead. For example, imagine your ex sends you a message 15 days into the no-contact period and she gets no reply from you for several days. Your ex will start checking her phone constantly, waiting for a response. This will make your ex emotional and she’ll wonder why you’re not replying…and this is exactly why no-contact works so brilliantly. It turns the tables upside down and makes your ex WANT to talk to you. Of course, no-contact is only a small step towards getting your ex back, but if you want to learn my full, proven system, then check out the full-length video by clicking here. How long should my no-contact period be? And the answer to that fully depends on the severity of your breakup. How much begging and pleading did you do right after the breakup? Did you send angry text messages to her? Did you send any of the three so-called “bad text” messages I described earlier? Ask yourself these questions and BE HONEST with yourself. If you committed several of these errors and you know your ex is annoyed or angry at you, you probably need to wait more than 30 days. In some cases, I recommend clients not contact their ex for 60 days or more – again, this all depends on her specific situation. So let’s fast forward this timeline and say that you’ve done everything perfectly. You quickly apologized, engaged in no contact, and did all of the other things that I recommend in my Ex Factor Guide program. What now? How do you go from no contact to having a positive conversation with your ex? And, by the way, that is the goal right now. At this point in time, your only goal should be to establish a positive rapport with your ex. You’re not going to make them fall madly in love with you again just by sending a few messages to them…but building rapport is a crucial beginning. So what kind of text should you be sending? In my Ex Factor Guide, I go through dozens of text messaging examples. But in this blog post, I’ll go through three kinds of text messages that are sure to establish a good basis for reconnecting with your ex. Not only do these texts lack purpose, it also doesn’t make your ex feel any emotions at all. You want to send something that makes them feel good…AND that has actual value. To let you know what I mean, let’s jump into an example of a “Big Interest” text message. For now, this is all you need to send your text message to eventually get started and reconnect. So why does this text message work? Well, for starters, you have a very clear purpose as to why you’re texting your ex. You’re not begging, you’re not pleading or getting angry…you’re simply letting your ex know about something that may be a huge interest to her. Secondly, you’re not forcing a conversation. Your ex can reply to your text, or they can simply ignore she wants. But if you did everything correctly up until this point, you should be getting a positive response from your ex. This second ice-breaker text message is a little more advanced, so use it with caution. The goal of this text message is to remind your ex of a positive experience you two shared while you were together, without making it feel awkward. Depending on where you’re at with your ex, this can do wonders. In this particular text message, you’re reminding your ex of the amazing dinner you two shared together…and this will force your ex to think about that positive experience. Secondly, this text message is great because it incites a little bit of jealousy and mystery. Again, this text message is extremely effective if you send it at the right time. If your ex is still annoyed by you, then sending this text will only ensure that WON’T get a reply back. Now, this text message should only be used if you handled your breakup properly – as in, you didn’t plead or got angry. Let’s jump into an example, shall we? Again, like the last two text messages, your text message has a purpose. You’re trying to reel your ex in emotionally with something positive and interesting. You aren’t trying to stir up any drama or the set the world on fire, you’re simply reconnecting and building rapport. Things like attraction, love and romance will come much later in this process. And again, if you want to learn THE ENTIRE method on how to get your ex to come back to you, just simply watch the full video presentation by going here. Hopefully, if you’ve done everything correctly, your ex will respond to you in a positive way, but there are a few things you need to remember when trying to carry a conversation with her. Rule number one: Put a “delay” in between all of your text messages. So instead of replying to his or her text messages right away, wait an hour or more. This will create some level of anticipation in your ex, and will also help remove any sort of “desperate” or “needy” sentiment your ex still may have of you. 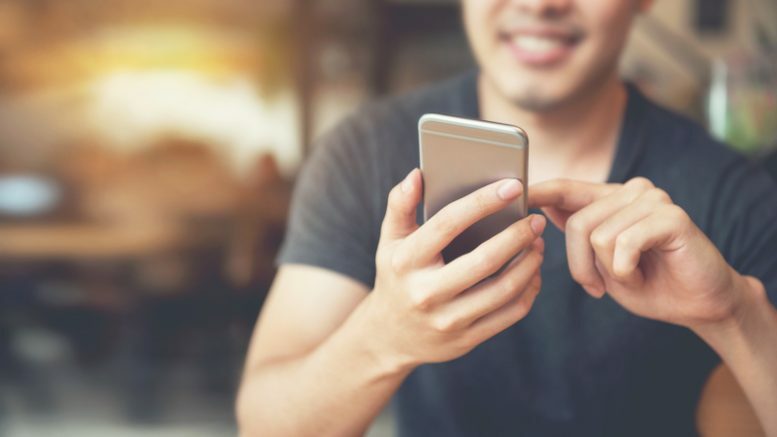 Also, if you’ve just reconnected after the no contact period, then you should only be exchanging a few text messages a day – no more than 6 or 7 text messages on any given day. Rule number two: Keep your replies brief, but don’t forget some basic principles. If you were to send huge, long, rambling text messages, you might appear a little desperate for attention. So keep the text messages as short as possible, but not so short that you kill the conversation. Keep talking about things that interest your ex and ask honest questions. Rule number three: Never bring up any drama. Don’t talk about your past relationship, don’t ask who they’re dating right now, and don’t try and argue with your ex. The goal here is to remain positive so that your ex will WANT to meet up with you. So now that we’ve established some rules, how do you go from texting your ex to dating your ex? Well, first things first, you need to establish a quick meet-up. 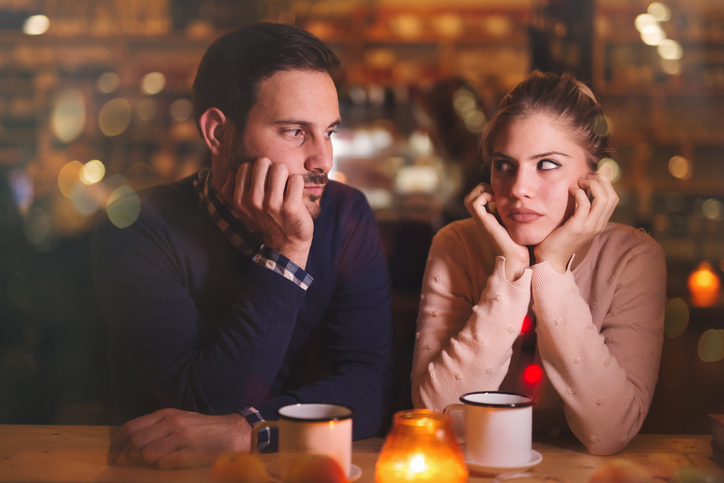 No, you don’t want to ask your ex out on a date or anything like that, but you’ll want to have a quick coffee or hang-out with your ex at some point. The best way to do this is to make sure you have a very good REASON to want to see your ex. For example, say you’ve been texting your ex back and forth for a few days and you want to finally take it to the next level and set up a coffee hangout. Don’t just ask them to go out for coffee – this could set off alarm bells inside your ex’s mind. You’ll want to have an EXCUSE to meet up with your ex. You’ll want to appear friendly FOR NOW. Any sort of flirting or suggestion of romance might scare off your ex. So for now, just set up a meet! Once you learn how to do this, you’ll be able to start pushing your ex’s psychological “hot buttons” and make them fall for you again by using my “3R System”. The “3R System” is what I teach in my Ex Factor Guide… and it’s a method that I’ve used to teach thousands of men to win back the love of their lives. It’s pretty simple and straightforward, and it will give you the very best chance to win your ex back for good. Be the first to comment on "How to Get Your Ex Back By Texting"